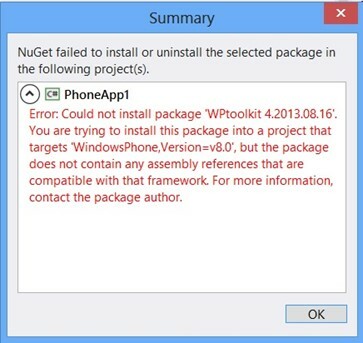 When trying to install the Windows Phone toolkit via NuGet Manager in Microsoft Visual Studio 2012, you might receive the following error. The reason for this error is that you might be having an older version of NuGet installed. 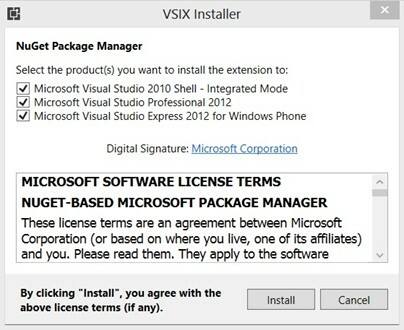 Just download the latest version of NuGet Package Manager from Visual Studio Gallery and install it.